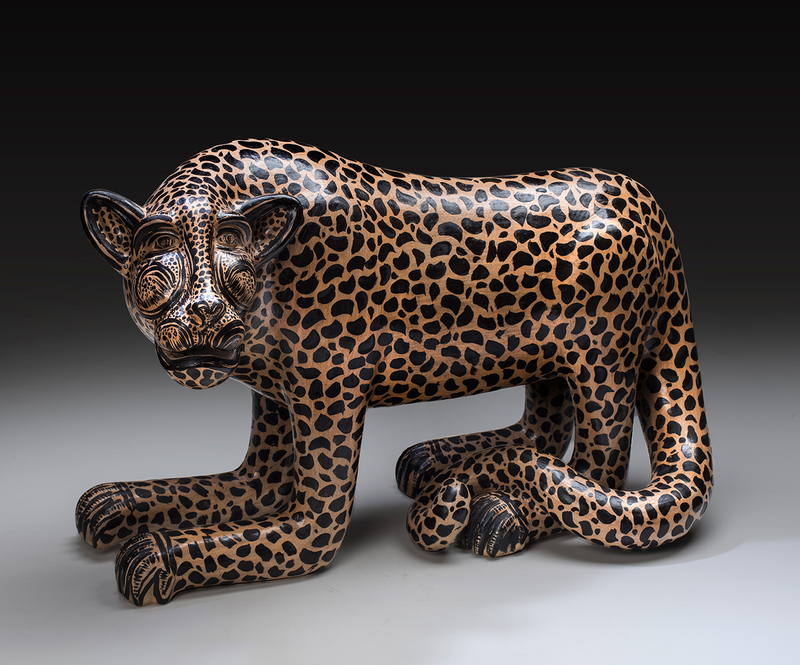 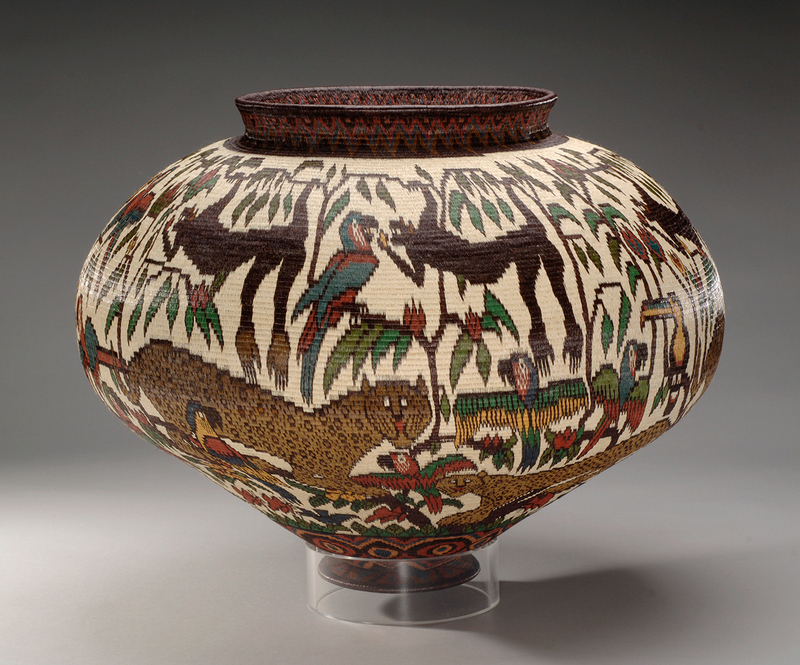 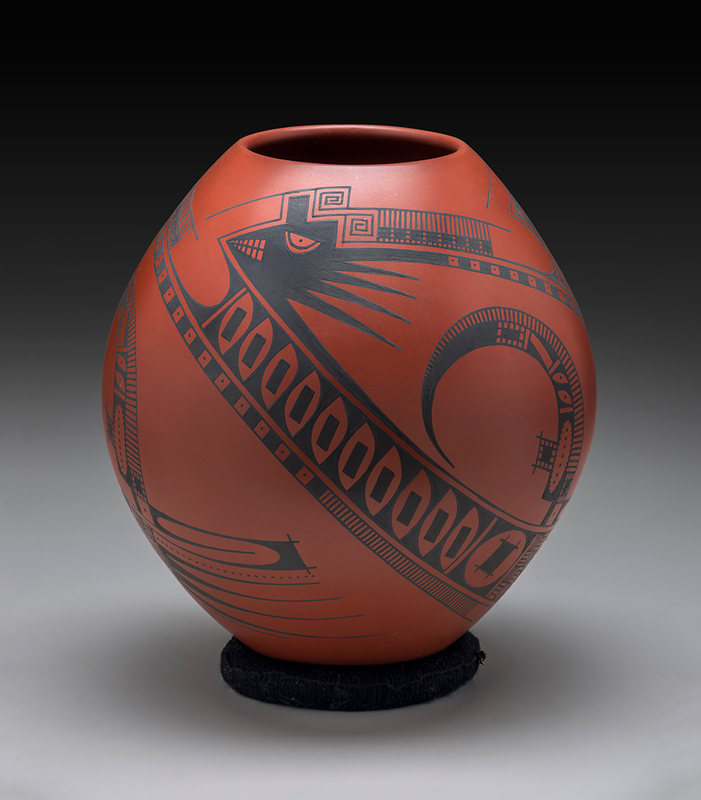 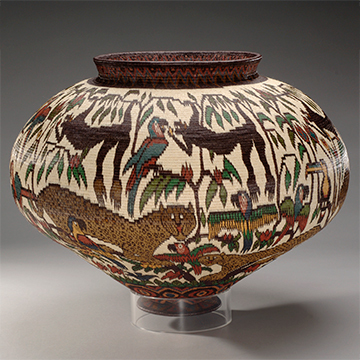 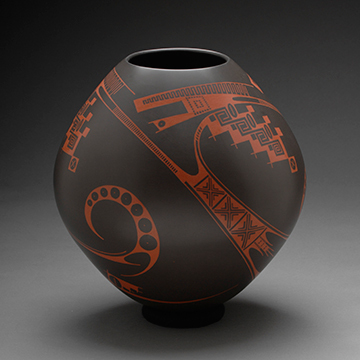 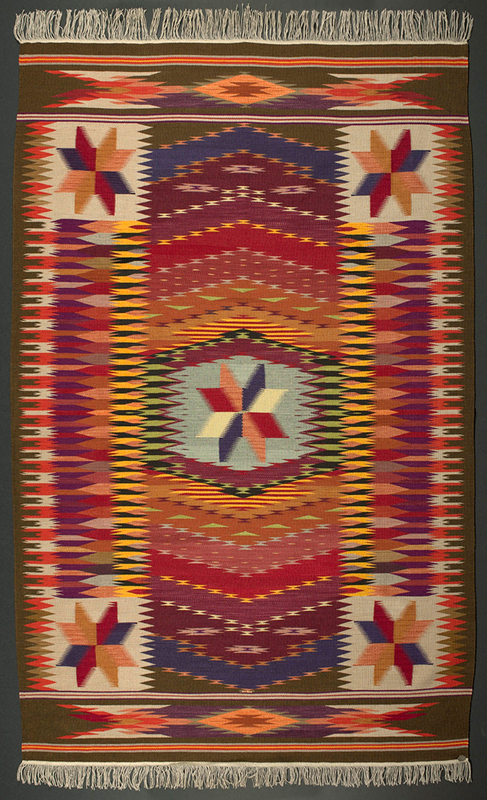 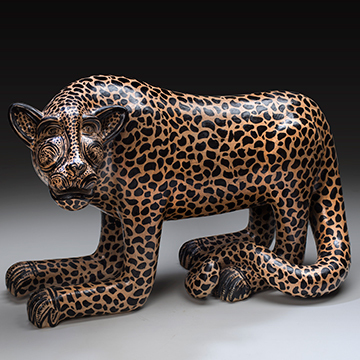 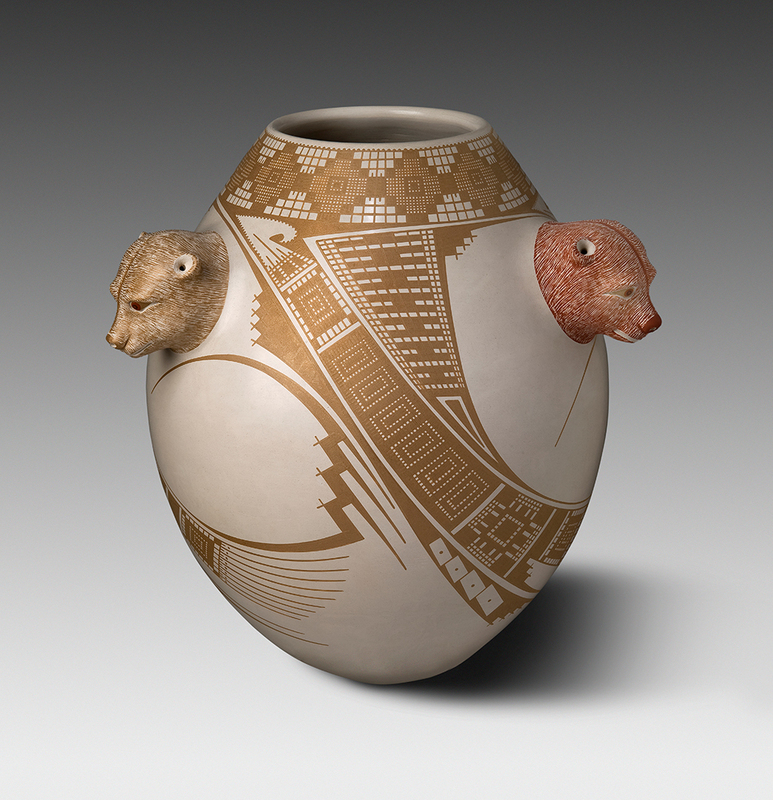 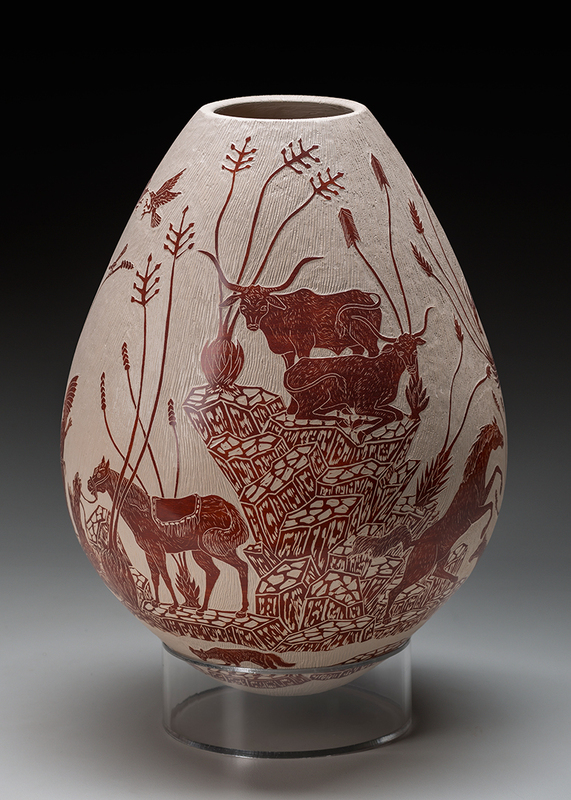 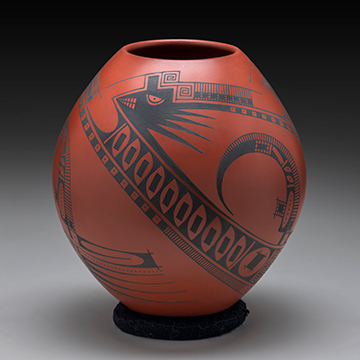 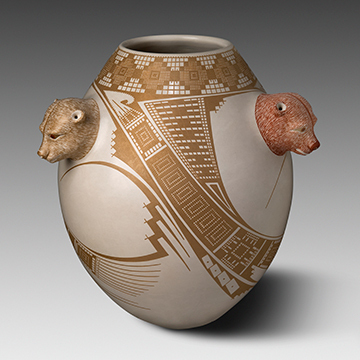 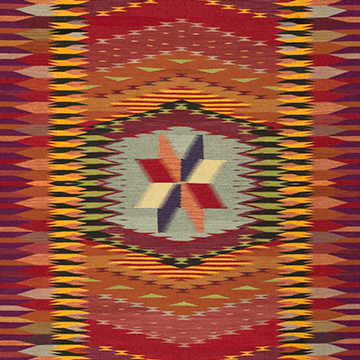 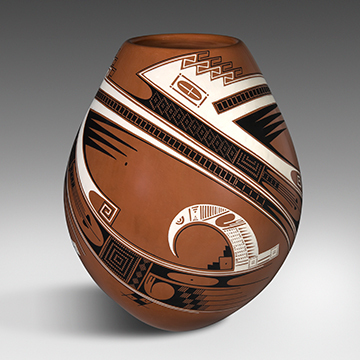 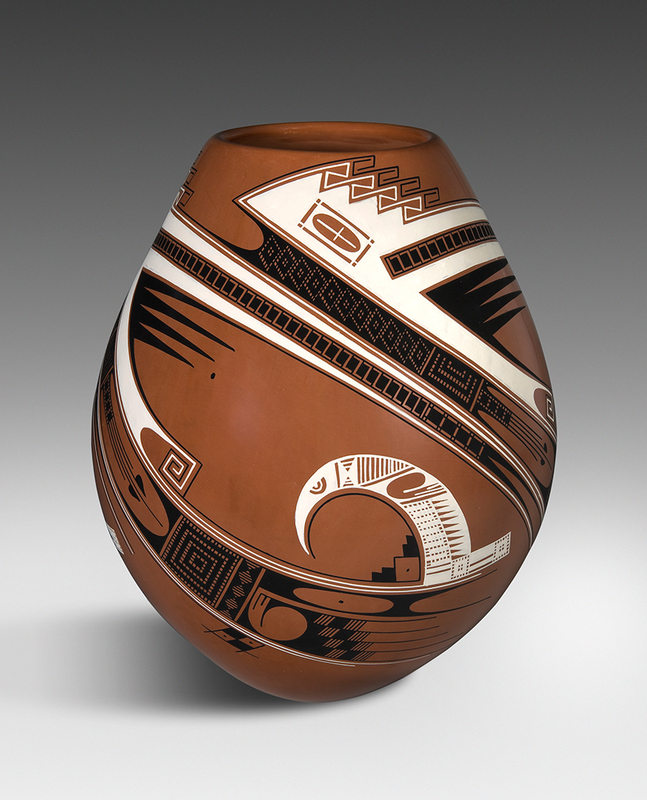 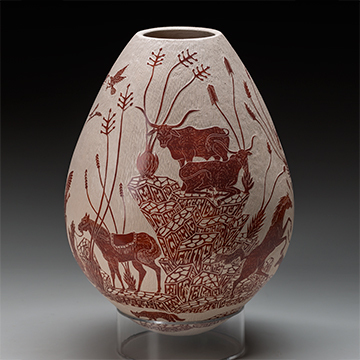 Approximately 20 works of Latino art, comprised primarily of pottery from the town of Mata Ortiz in Chihuahua, Mexico, along with textile work by master weaver Irvin Trujillo, Chimayo, New Mexico, are on permanent view. 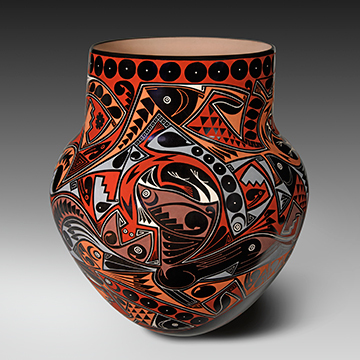 The college collection contains numerous works by contemporary Latino artists, and many of these paintings, works on paper or photographs can be seen in existing campus collection focus areas or the museum. 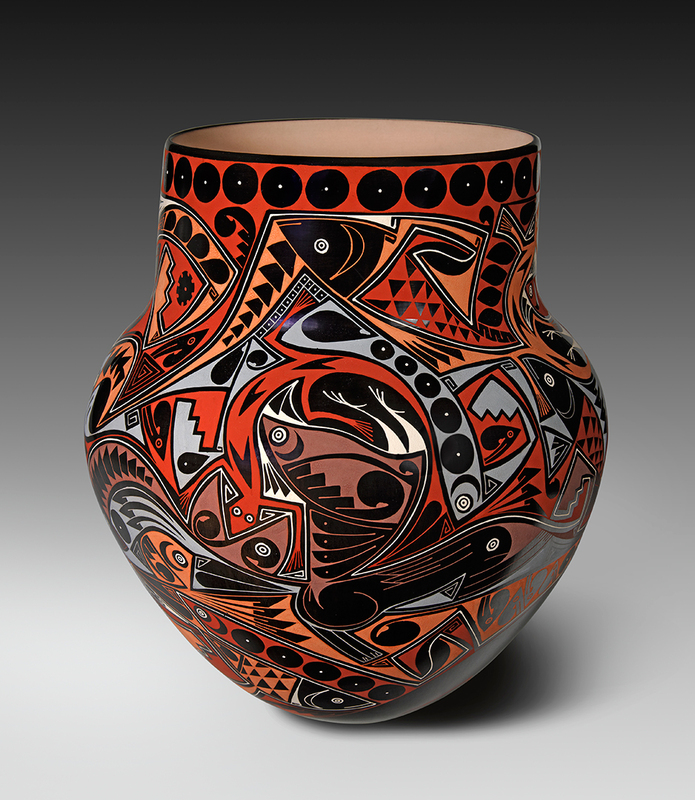 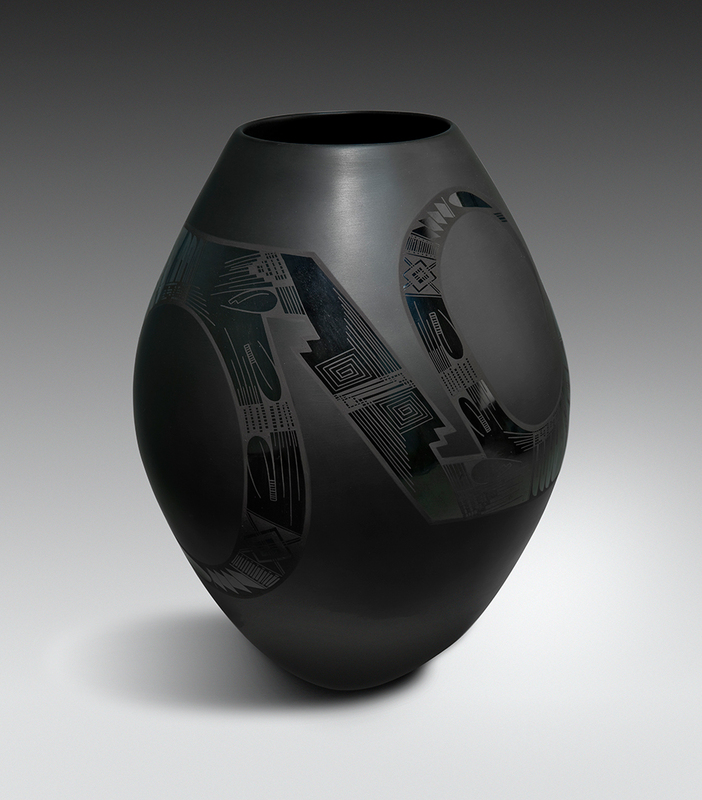 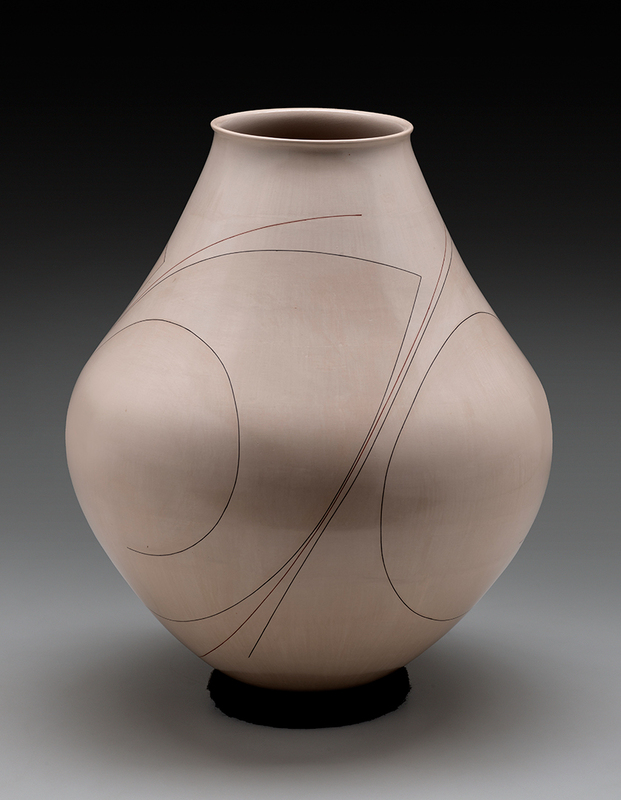 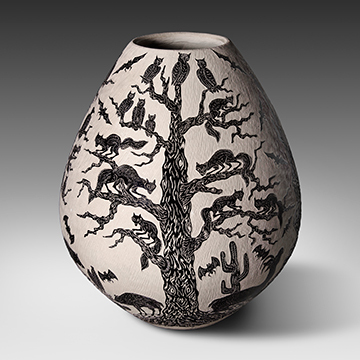 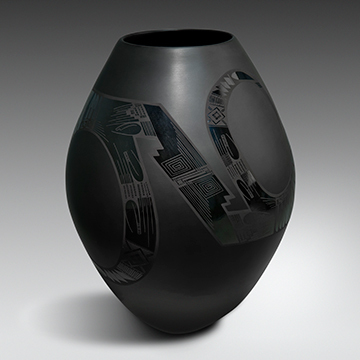 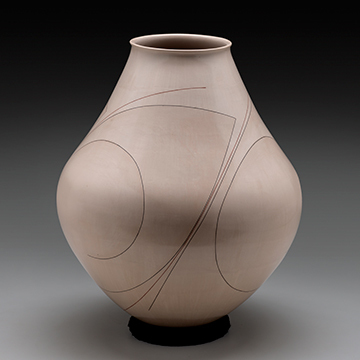 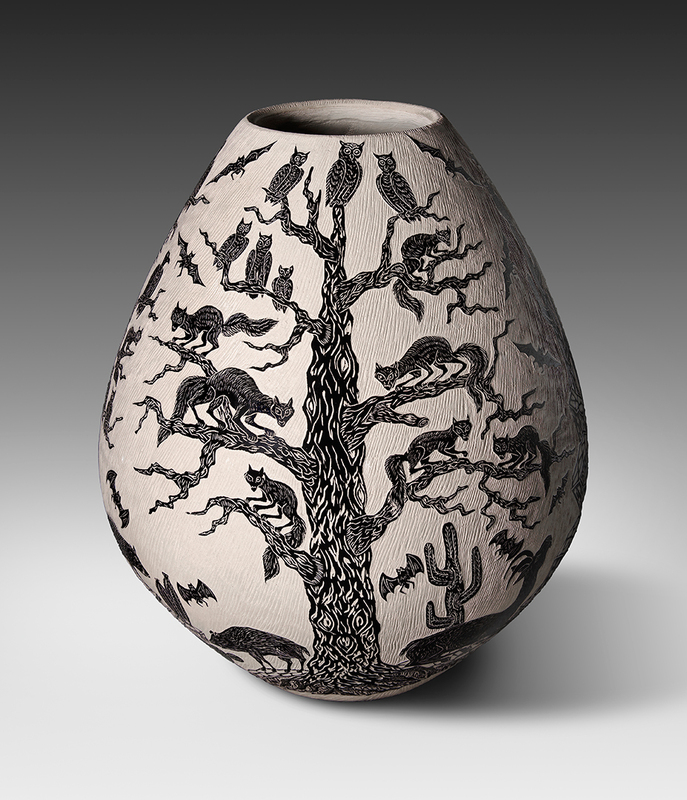 As we formed a substantial Mata Ortiz ceramic collection, we decided to initiate a new focus area devoted to contemporary Latino works in clay, textiles, basketry and other media.